Son Max and I got an early Christmas present from my wife. She calls our whole family a “Living With Nerds”. That is with good reason. We love the geeky and nerdy science stuff in just about everything there is. 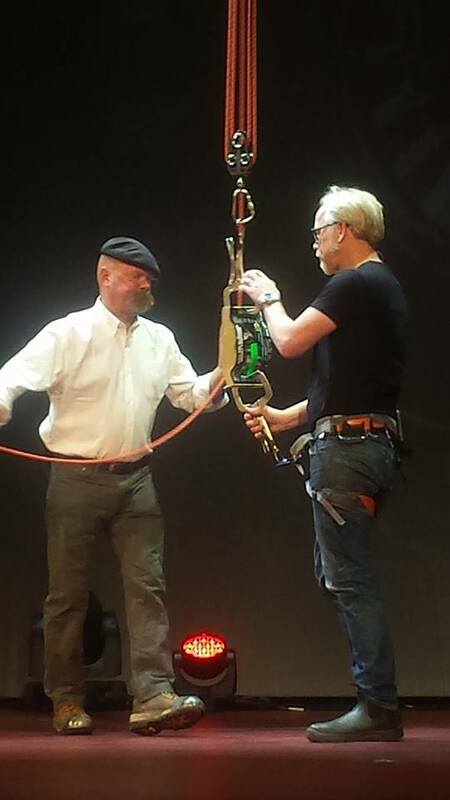 So it is no wonder that we like the folks from Mythbusters so much. Little did I know how much I would like the Behind the Myths show. Adam posed the above question to the audience at one point: “What is the difference between science and screwing around?” Much like the rest of the audience, I was stumped. He then proceeded telling us that the only difference would be that a scientist writes everything down. So why should you even care? For one it is to appreciate how much of your life is related or directly connected to scientific principles. We use the same methods high level scientist use in our everyday lives. The most important take away from this is journaling. Do you journal? You should. It has been proven that the most successful people journal for 15 minutes every day (here is a must read article on this topic). It’s like Adam’s assertion about the scientist who records what he finds. That is the difference between just having fun and having fun with purpose. PS: Max had a blast at the Miriam Theater. 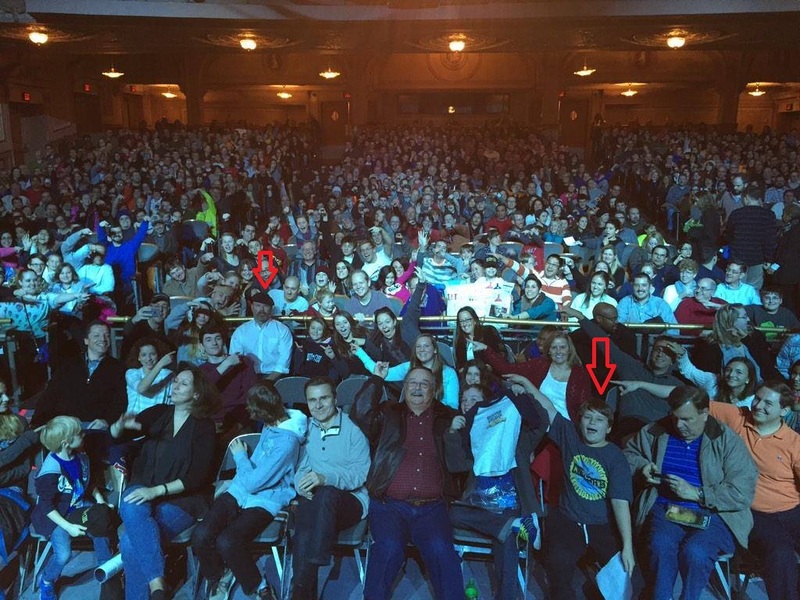 Here he is with Jamie Hyneman in the audience. Adam and Jamie are fantastic how they get the audience involved in the show.